How do I log in to my router admin panel with the 192.168.1.1 Default Gateway IP? If you are having problems logging in to your router’s admin page, then read on. Accessing your router’s or signal repeater’s admin panel is simple, really, but most people are making the same mistakes. The vast majority of Home WIFI Routers use 192.168.1.1 as the default IP address, but a number of brands are set up with another default IP address, such as 192.168.0.1 or 192.168.1.254. If you cannot even load yourrouter admin login page, chances are that your router is using another IP address than 192.168.1.1. 192.168.1.1 Not Working – Connection Timed Out. This video guide shows an advanced guide on all the steps to take, if the 192.168.1.1 admin login is not working and you are getting a “Connection Timed Out” error message. But first, check that you did not mistype 192.168.1.1 in your browser’s address bar, and that you typed it in the actual URL Address Bar (and not in the Google Search bar). Also, check that 192.168.1.1 is the actual IP address that your router uses. See the written guide below, for more. Determining your Router’s IP address. 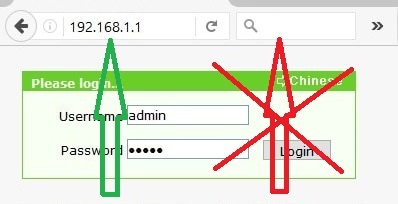 If you are entering 192.168.1.1 in your internet browser’s address bar, but no login page is appearing, then your router or signal repeater might be using a different Default Gateway IP, such as 192.168.0.1 or 192.168.1.254. To find your router’s default IP address, simple click on “Start” in Windows, then “Run”. In the pop-up box, enter “Cmd” and press enter. The Windows Command Prompt window will open. In the Command Prompt window, enter “ipconfig”, and press enter. Now, search the page for Default Gateway. The number next to “Default Gateway” is your router’s IP address. Note, that if you are running Windows 10, just click on the Searh icon and search for “Cmd”. That should bring up the Windows Command Prompt in Windows 10. So, to recap, the number next to “Default Gateway” is the number you will need to enter in your internet browser’s address bar in order to load the router admin login page. The most common mistake newbies make when trying to access their router admin panel, is the mistype the router IP address. The correct IP address is: 192.168.1.1, and NOT 192.168.l.l (with the letter L). Make sure your router is turned ON. Open your internet browser on your computer. Find the browser’s URL address bar. Make sure you are not using the Google or Bing Search Bar, which is sometimes also located at the top of the browser. In the browser’s URL address bar, enter: 192.168.1.1 and press enter. Make sure that you enter 192.168.1.1 or http://192.168.1.1, and NOT 192.168.11, 192.168.l.l or 192.168.ll or any other combination. There should be 8 numbers and 3 Full Stop signs only. Type in the actual browser URL address box, and make sure you type 192.168.1.1 followed by pressing ENTER. Your router’s admin login page should now open. If you get an error message or nothing is happening, then your router probably has another IP address than 192.168.1.1 (for example 192.168.0.1 or 192.168.1.254, your must be rest/turned on, or you are typing the 192.168.1.1 IP address incorrectly. Here is a list of common default passwords and usernames (factory settings). You can try them one by one, though default login settings vary from model to model. 192.168.1.1 IP is used by These Routers. 192.168.1.1 is the most common IP address for Home Routers. It is the Default Gateway for most Linksys brand routers, as well as some Cisco home routers. Which IP address does my Router Use? Here is a list of router brands and the typical IP addresses, that they are set up with from the factory. If 192.168.1.1 does not work for you, when you are trying to log in, then find your router brand and try one of these other IP addresses listed. Still need help with accessing the 192.168.1.1 router admin panel? Share your issue in the comment section below. 2 192.168.1.1 Not Working – Connection Timed Out. 3 Determining your Router’s IP address. 6 192.168.1.1 IP is used by These Routers. 7 Which IP address does my Router Use?